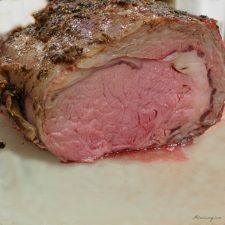 Wow this rib roast looks so good and juicy! My husband is a big rib guy so he will love this recipe! Pinning to try later! Can’t go wrong with a rib roast for the holidays! I can see why your family dug in before you got a chance to take your final pictures! Lol! Beautiful looking rib!! No wonder it disappeared so quickly before you can snap the photos! And thanks for sharing a little about the aging process!! Love the texture and flavors!! 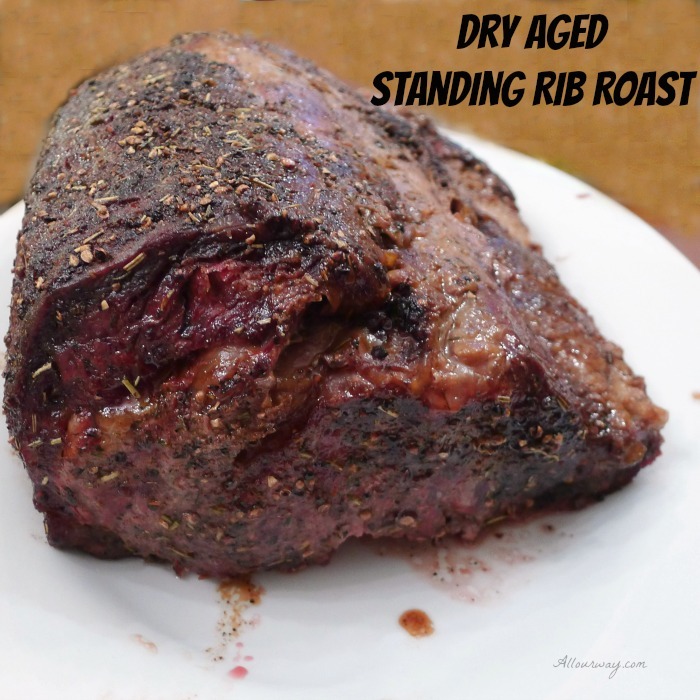 I love dry rubs on roast! I love the taste and texture! This one looks so delicious!! Saving to use soon! What a funny story about how you didn’t QUITE get all the photos you needed for this recipe last year … and oh my goodness, I can see why! No doubt, this disappears like a flash! What a lovely family holiday tradition! Dry ageing brings so much flavour to the meat. This would be a wonderful meal for entertaining or holidays. I’ve always been intimidated to age my own meat, but you make it sound so easy here. Look at the PERFECT PINK in the middle of that meat. This would be a great crowd pleaser for sure. You can never go wrong with a delicious roast beef dinner. Your guests will want to come over for dinner all the time. Oh Marisa, this makes me seriously hungry right now. I can only imagine how flavorful this tastes, the smells around the house while it bakes. OMG! I’m so making this for family dinner. 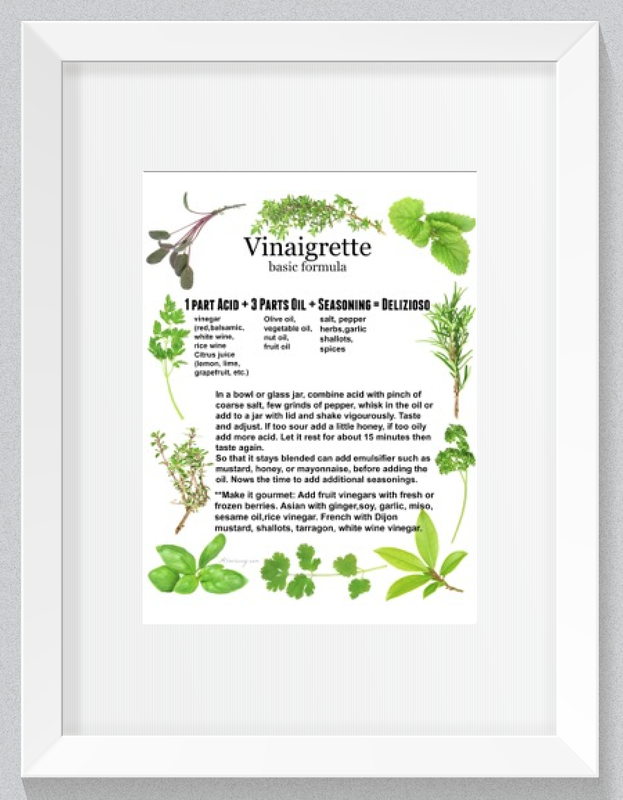 I love all the herbs you used. 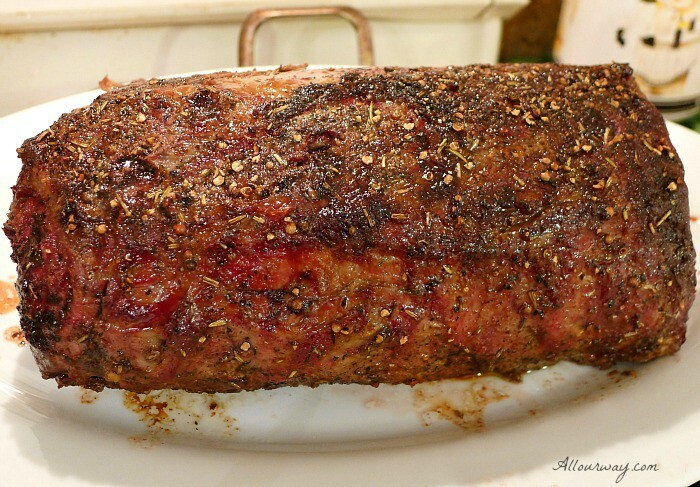 You made best dry roast rib.I love the herb mixture use, that meat looks so flavorful and juicy great for barbecue as well family get together. That roast beef looks beautifully rare, that would be very well received here. I’ve never tried using coriander on a roast beef before, it sounds intriguing. I’ve never tried dry aging my own roast and am a little intimidated by it, but this looks so good that I might have to give it a try this year. A good beef roast might be my favorite dish ever! That looks like a perfect recipe to make when you have a party – everybody would feast over this in our home. I love how beautifully pink it is inside. The flavors sound absolutely delicious. wow this is so mouth watering. I can just imagine the flavors on this rub . I could go for a huge piece of this. My son makes this kind of roast in the smoker. I am sharing this with him he will love this rub too! Your roast looks so so good. I have tried dry aged a roast before, but it looks perfect. Ha! Work hazards of a blogger with delicious food ready to serve! Glad you captured this one, as it looks incredible! This would be perfect for feed a crowd at a BBQ party. You can never go wrong when BEEF is the main event. I can just imagine how good this would be sliced thinly, and piled on a bun. Add some great toppings and a few sides….call it a day!! 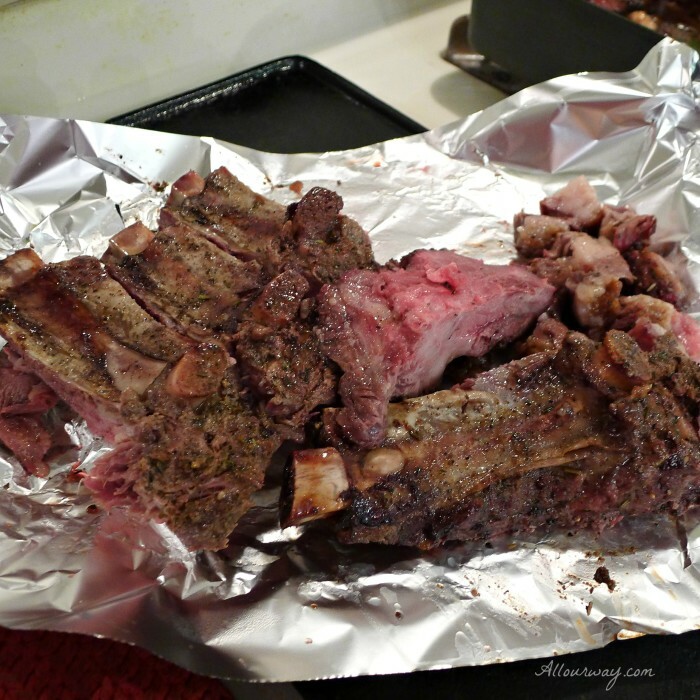 Wow your rib roast looks incredible! It would make such a perfect holiday dinner! This rub sounds amazing! I have always heard that dry aging makes the flavor of the meat stand out. I am definitely going to have to try it! A very timely post for the holidays! My family loves a good roast! Thank you. I have never done this before but sounds interesting with the herb rub! hope you enjoy it this Holidays! We do like to rub the meat with herbs, lamb included. Hope you have a very enjoyable Christmas holiday. Thanks for the tutorial, I have not made a standing rib roast before. Your pictures are very helpful:) Thanks for sharing your recipe and how-to’s. Hi, Tina! It’s very easy to make. I hope you give it a try — aged meat tastes so much better. That is exactly why I miss the way we had our butcher shops in Austria, those are all gone now, replaced by supermarket meat sections. Back then you could order such a gorgeous aged piece of meat and in fact the butcher would know you and keep one ready for your Christmas food preparations. 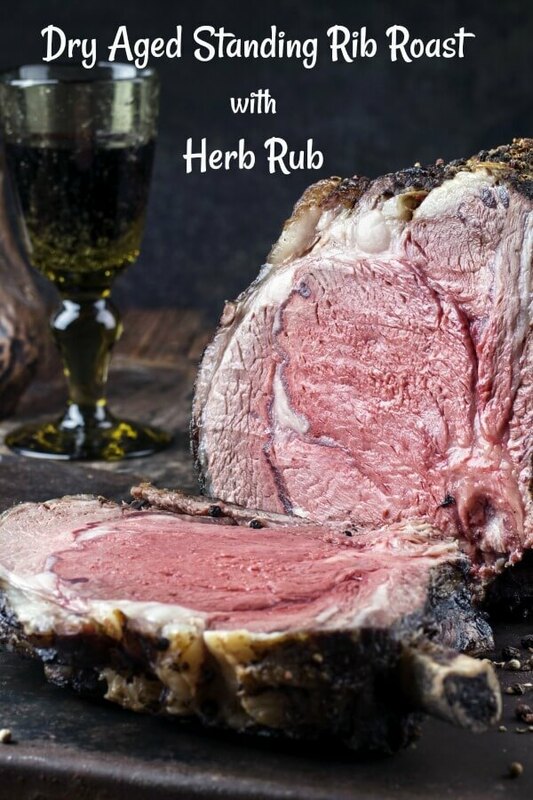 Your rib roast looks so juicy I am drooling here and the crust with the herbs is just perfect! I miss the small shops too, Helene. It seems the grocery stores are so big that some of them get everything already pre-cut. I don’t think you get the quality that way. Our rib roast was so good!! Hope you have a chance to make on. This looks perfect for Christmas dinner! Yummy! I just love the seasoning here. It’s so perfect for a juicy rib roast. My husband would just love this recipe so I’m bookmarking this! Hi, Dominique! Your husband will love the rib roast. It is a tradition here. I had to laugh when I heard what happened to last year’s roast. In our house, it happens all too often that I make a new recipe, but I forget to take pictures until it’s been completely devoured. I have never dry aged a roast before, and I was interested to learn the process. I can’t wait until I have an opportunity to try this. That rub sounds divine. 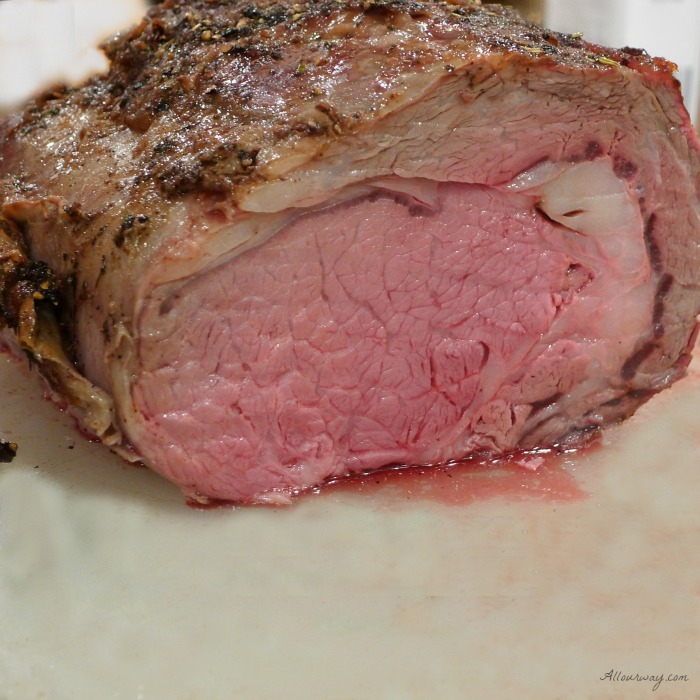 Standing Rib Roast is such a perfect holiday dinner! It always makes such an impressive presentation. Love that garlic and herb rub. It looks like it makes a great crust! ok, I had to laugh when I imagined you stalking some unsuspected diners with your camera 🙂 That’s funny! This roast looks amazing. I am not sure if I’m going to try this technique any time soon but it will definitely be on my list for the future. Well, this looks absolutely stunning and perfect!! YUM! I don’t blame your son at all for taking the ribs home and grilling them. I would too! The exact same thing happened when my daughter made leg-o-lamb with gravy. We GOBBLED it down. There was about 2 servings left that I was going to make photos of the next day – but then my step daughter and her boyfriend came home – and that was the end of that. Now we have to make another at some point in the future. 🙂 Blogger problems. Hi Wendi! For me it took a year — from Christmas to Christmas. But I really love seeing them enjoy the food and I know you do too. You’ll have to make your hubby the roast. It is easy and boy does it ever come out good. The males in our family insist on it for Christmas Eve. Hugs back at you. That looks marvelous. My pictures are not as good as yours. I bought an extra set of beef bones which I roasted first to make my rack. I’m going to link you to my post when I do as a method for using vegetables for the rack (another good idea). I can’t wait to make this again, but for now I’m eating on the lighter side. May do again for Valentine’s Day, and I’m going to post probably late January. Thank you Angela! Don’t despair — don’t forget this was our second attempt to get a shot of the roast.Let me know how your standing rib turns out. Have a great weekend. Props for the family for patiently waiting for this beauty to be sliced. It must have been very difficult but I’m glad you managed because this roast looks absolutely scrumptious. Thank you!! They are just humoring me — nonna with the camera and all. 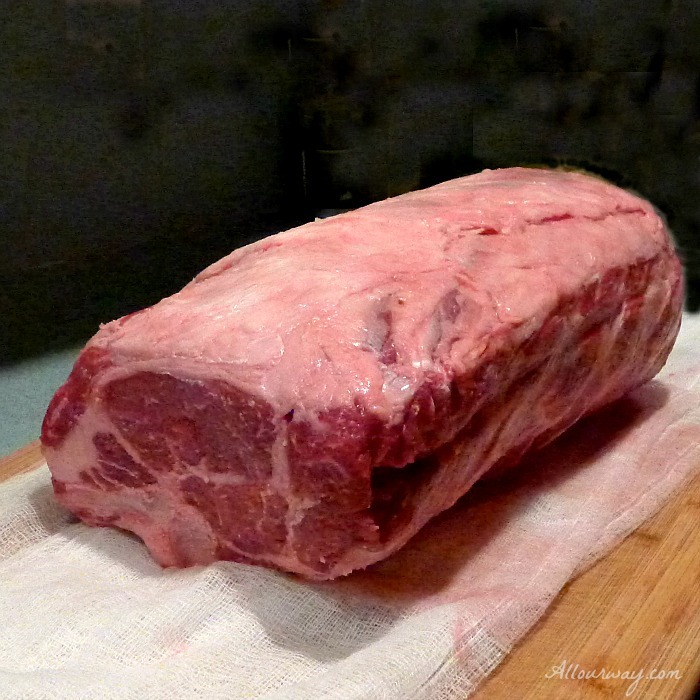 I love a standing rib roast for the holidays but have never done one on my own. I have always eaten others’ creations. Your recipe looks marvelous and I would take a slice now if it were possible. Delicious! That looks like one giant chunk of perfection! I can practically taste it already! Thank you Sarah!! It did turn out delicious. 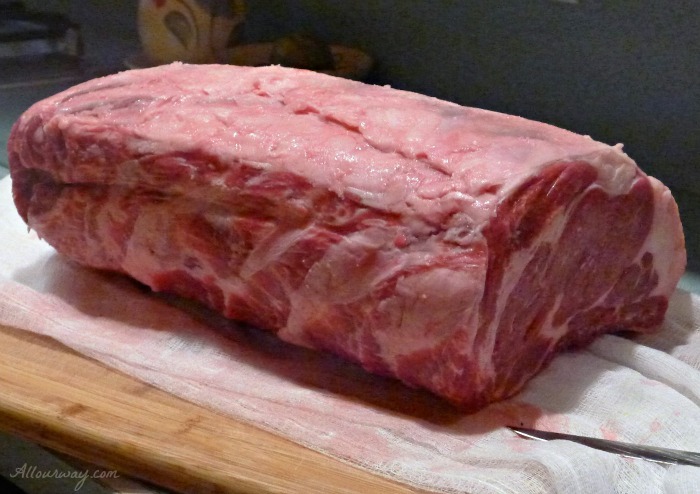 I have never made a rib roast before but now I want to try. This looks truly amazing! Your family is lucky to have an amazing cook! I love aged beef, so much flavor! And when It’s a Rib Roast- it’s even better! Pinned for later! If you have any questions at all please don’t hesitate to contact us — we will be happy to answer any questions and walk you through the whole process ( but it really is easy). This is a wonderful reward 🙂 We will have it again on Christmas Eve 2016 along with our baccala. Mouth…. watering…. wow that is one outstanding looking roast!! Thank you, it was delicious!! 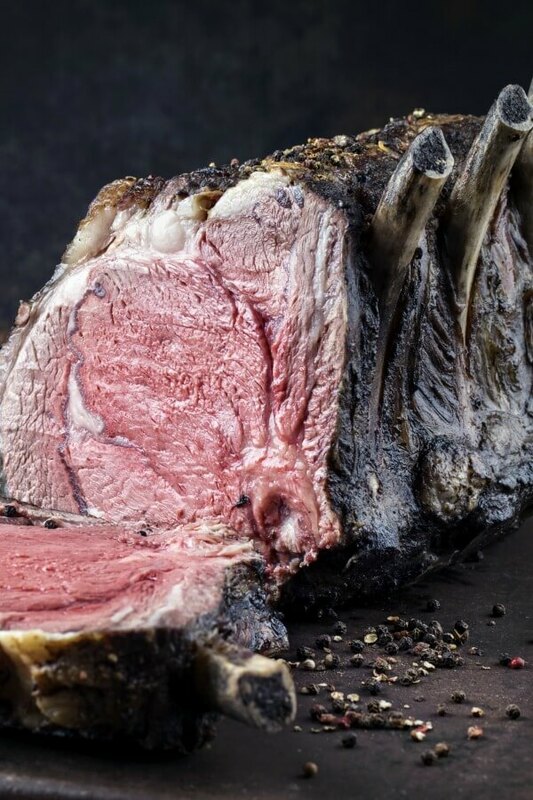 This hunk of prime rib looks perfect! I would have loved to have been at your table for this one! And you would have been very welcomed at our table!! mi invito a pranzo, posso venire? Mi piacerebbe veramente un giorno, chissà…Un bacione e tantissimi auguri di Buon 2016! My friend, you are welcome into our home anytime and I’ll welcome you with open arms. I so love reading Italian — it is so easy for me but ahhhh the writing is a little more difficult. Hope you had a Happy New Year and lets toast to a wonderful 2016?? Abbracci e baci! Not sure what I love more…this roast or your story….we’ll call it a tie! What we’re willing to go through to get the shot! My family would LOVE this! Thank you for making it easier for us to attempt this, my friend! Brava! Yummmm. This is my husband’s favorite!! How about making it for him? Oh my goodness. I am drooling. That is one fabulous hunk of beef. You cooked it to perfection too. I sympathize with what happened to you last year and not getting the photos. It happens in my household too. Everyone is too impatient, and I forget in the midst of all the frenzy. But you sure sealed the deal this year. Thank you! And I have to admit it is not “prime” but ended up being just like that expensive cut. Wow, does this look good!! And I don’t even like my meat this rare!! But I can almost smell it and taste it, it looks so good! I am printing this recipe now, and will make it between now and next Christmas. We always do Christmas Eve, and it’s always Italian something (non meat). Lasagna, ravioli, manicotti, stuffed shells, always with cheese–no meat. My family always did “the feast of the seven fishes”, but in my house, my husband is the only one who eats fish–so no fish on Christmas Eve! But this is exceptional! Fantastic post you did, Marisa—give yourself a nice pat on the back—it’s well deserved! Grazie mille, Diane. I’m sure hubby won’t mind substituting standing rib roast for a fish meal or for that matter a non meat meal. abbracci! I love your recipe. I am going to bookmark your directions since I am always looking for the best way to make a rib roast. This looks like it. The family will love it. thanks for sharing your family tradition. Thank you, Jovina. I have to admit we did not purchase a prime grading in the standing rib roast and the meat turned out excellent.